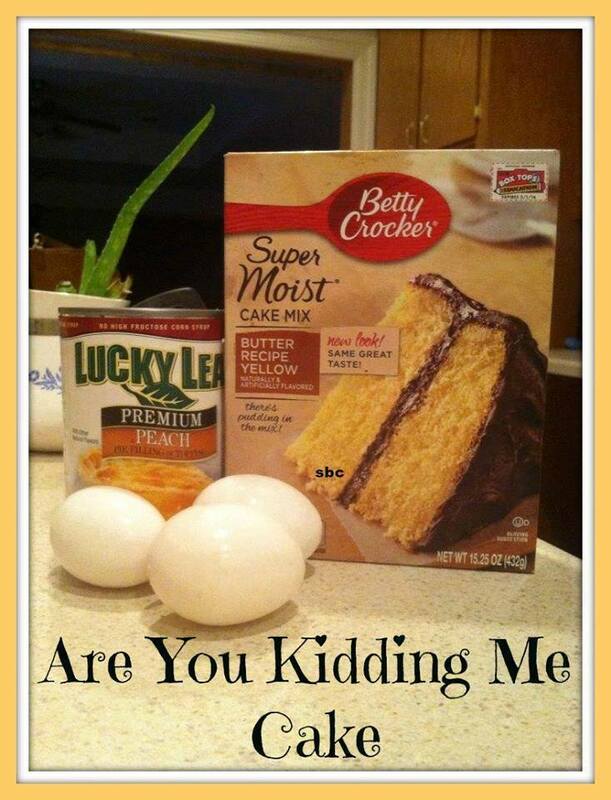 Seriously.....So easy and only 3 ingredients!!!! Put the three ingredients into a bowl, mix them well, and bake for 35 minutes at 350 degrees in a 9 x 13 pan. 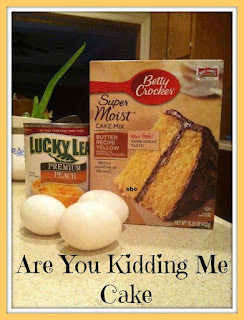 It’s got almost a pudding-cake kind of consistency, lighter than pound cake. It’s spotted on the inside with little pieces of whatever fruit filling you are using. The edges are crispy, like you would get on brownies.